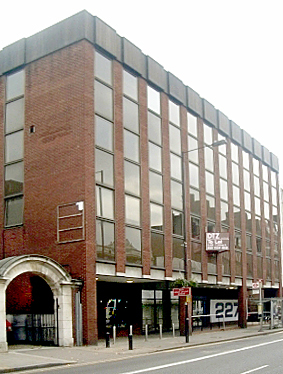 Buchanan Computing is a successful private company based in Hammersmith, London. We specialise in software for traffic engineering and highway management and in web mapping, cloud computing and training. We develop, supply and support systems for customers throughout the British Isles. We are the foremost supplier to UK highway authorities of computer mapping (GIS), and software for the design and management of traffic regulation orders and traffic signs. We are also the parent company of Buchanan Order Management, which operates independently providing consultancy and data input services relating to traffic orders and highway inventory. The company was formed in 1997. It is named after the celebrated transport planner, Prof. Sir Colin Buchanan, author of Traffic in Towns, as it was created by the company he founded. Before his death in 2001, Sir Colin visited Buchanan Computing on several occasions, giving us his seal of approval. Buchanan Computing is now independent and owned by its directors. Our focus is on customer satisfaction and in building long-term relationships with those who use our software and services. This partnership works to everyone’s advantage and results in customers receiving an outstanding level of support and regular software upgrades that incorporate their suggestions. It is also one of the reasons for our rapidly growing customer base. Buchanan Computing has an outstanding client portfolio that includes almost all major highway authorities. See panel, right.